> Enter Selection many as 36 can be used for sorts and searches. By using more than one screen, you can have a field that can be examined by anyone, but only users with a password can alter the information. You can even have fields that are not visible to everyone. 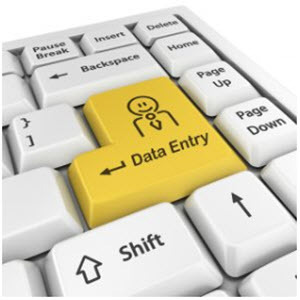 If your existing manual data entry system is not too large, you can duplicate it on the screen for maximum ease of data entry and operator training. Profile III+ allows you to define up to five report formats and five mailing label type formats. 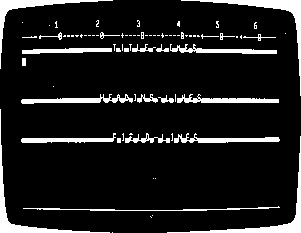 —The records themselves can be anywhere from one to 1020 characters in length (the Profile Plus limit is 853 characters). — The searchable portion, or KEY segment, can be from one to 255 characters long (Profile Plus KEY segments are always 85 characters long). — Mass recalculate, hardcopy, purge, and delete functions are supported (Profile Plus supports mass recalculate). —The powerful 16 field search ability found in the Profile Plus SELECTOR/EFC program has been extended to work with the Profile III-i- report and label programs. — Profile III+ can sort more records, faster, than Profile Plus. Model III Profile III+ will be available as stock number 26-1592, for a suggested retail price of $199.00. Since Profile III+ is a totally new program for Model III, no upgrade is available for users of the current Model III Profile (26-1562). Mr. Gilroy runs the marketing division for a manufacturing company which makes hand tools — lots of hand tools. Tools for carpenters. Tools for plumbers. Tools for mechanics. Tools for shadetree tinkerers. Mr. Gilroy's problem was that he had to sell all those tools to the right people. The tools for mechanics had to be advertised mainly to auto shops — but also to top-quality hardware stores. The carpenters had to be reached through distributors they dealt with . . . and the distributors wanted cooperative advertising programs. Still other tools were sold to a major department store chain under another name. Mr. Gilroy had to apportion some money for that sales effort too. To solve those problems, Mr. Gilroy turned to another kind of tool — a business person's tool. 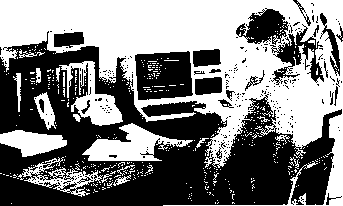 The VisiCalc program had caught Mr. Gilroy's eye at the local Radio Shack dealer, running on a TRS-80 Model III (it also runs on the TRS-80 Models I and II). He had invested in the program and used it extensively to ADD UP budgets and handle sales projections. 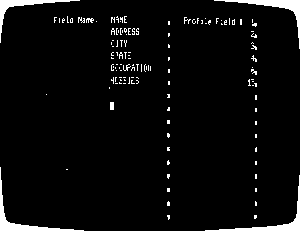 Now he turned to his TRS-80 and the VisiCalc program to BREAK DOWN his budget into its constituent parts and reform the figures into the information he needed.